A suite of of smartly redesigned Da Vinci watches. 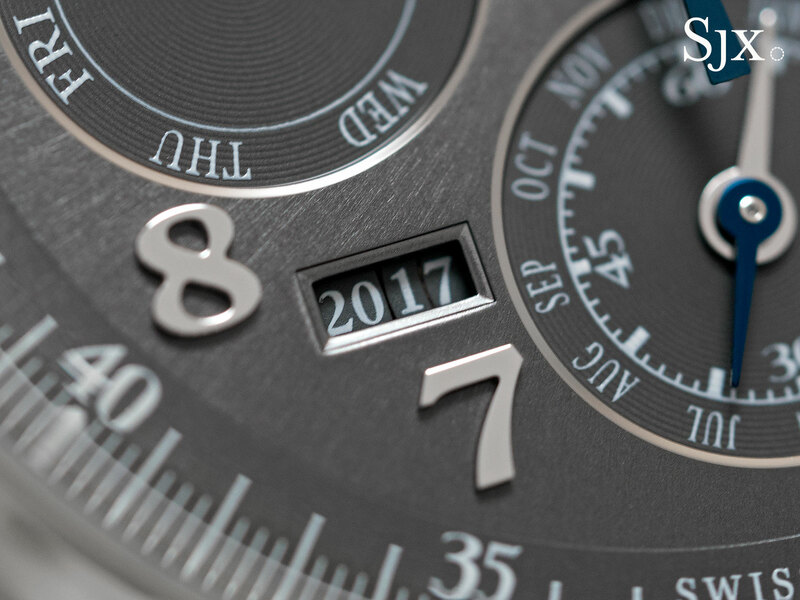 IWC offered a peek at the revamped Da Vinci before SIHH 2017, revealing a design decidedly more conventional than its predecessor. Large, round and classically styled, the new Da Vinci is attractive in the metal, with a diversity of models that are all comparatively reasonably priced, even the complicated models. All models feature swivelling lugs that help the watch sit well on most wrists, despite the largish sizes. 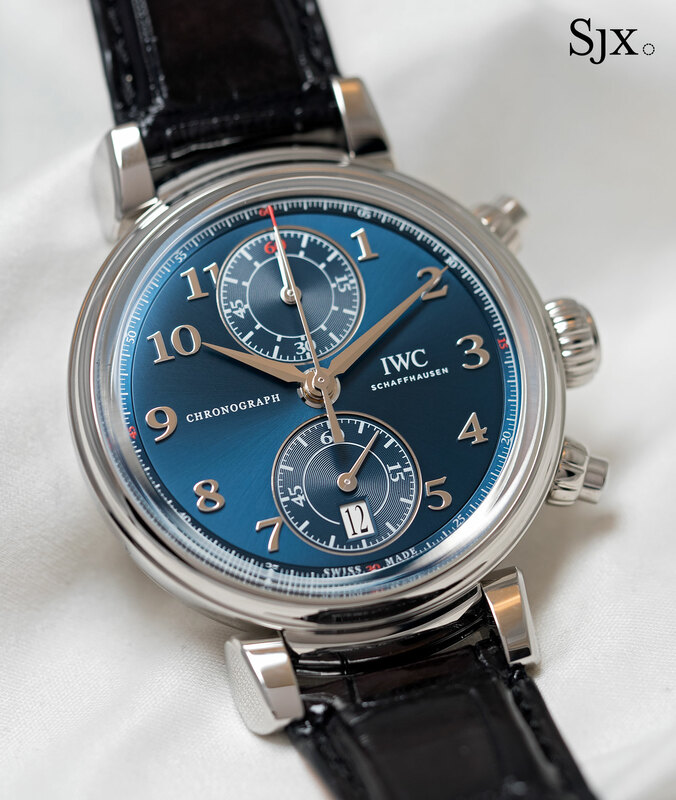 High domed sapphire crystals add a refined feel to the case, an impression helped by the applied Arabic numerals on the dials and frequent use of blued steel hands. 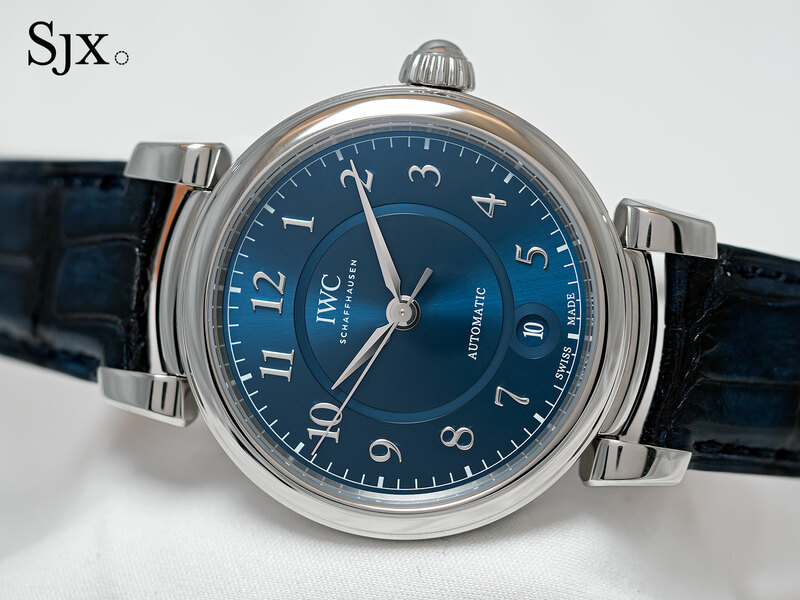 And as is a habit for IWC now, all the Da Vinci watches are fitted to straps made of antiqued leather from Italian shoemaker Santoni. 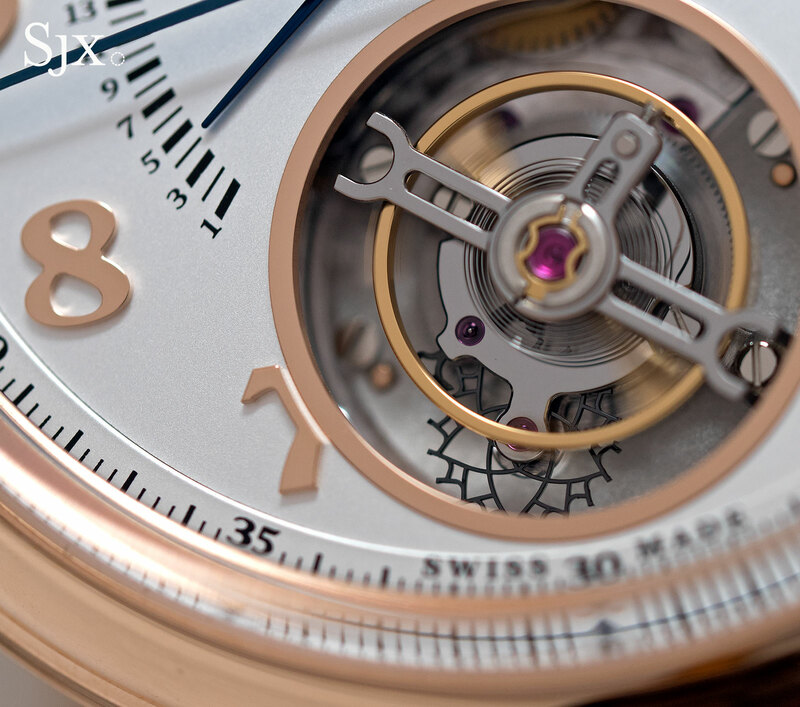 The flagship of the line is the Da Vinci Tourbillon Rétrograde Chronograph. 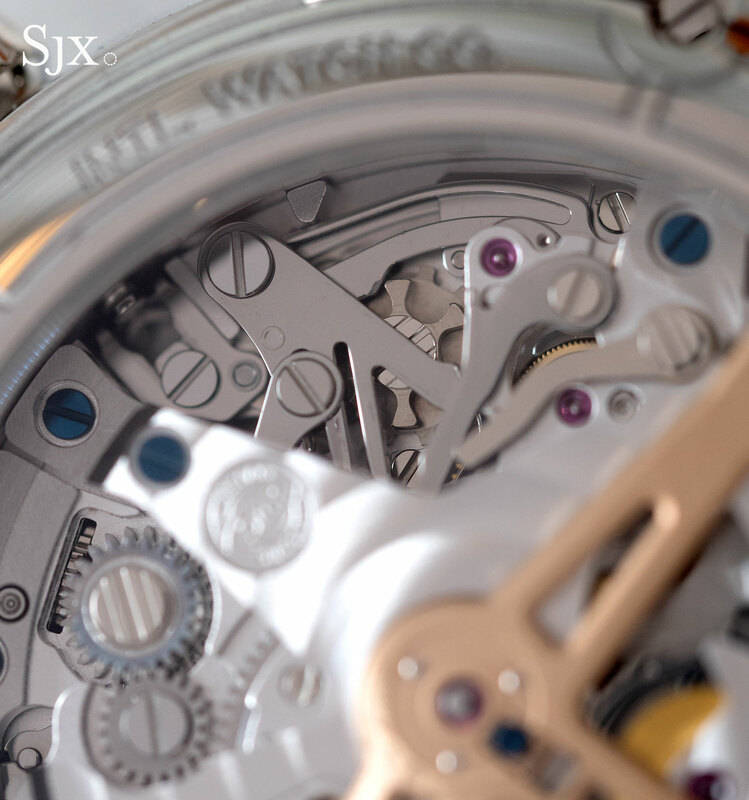 Though conservatively looking the movement inside the watch is noteworthy. A new calibre derived from the 89000 family movements, the automatic calibre 89900 inside features a flyback chronograph, retrograde date, and hacking tourbillon. The 89900 movement is notable for two features. 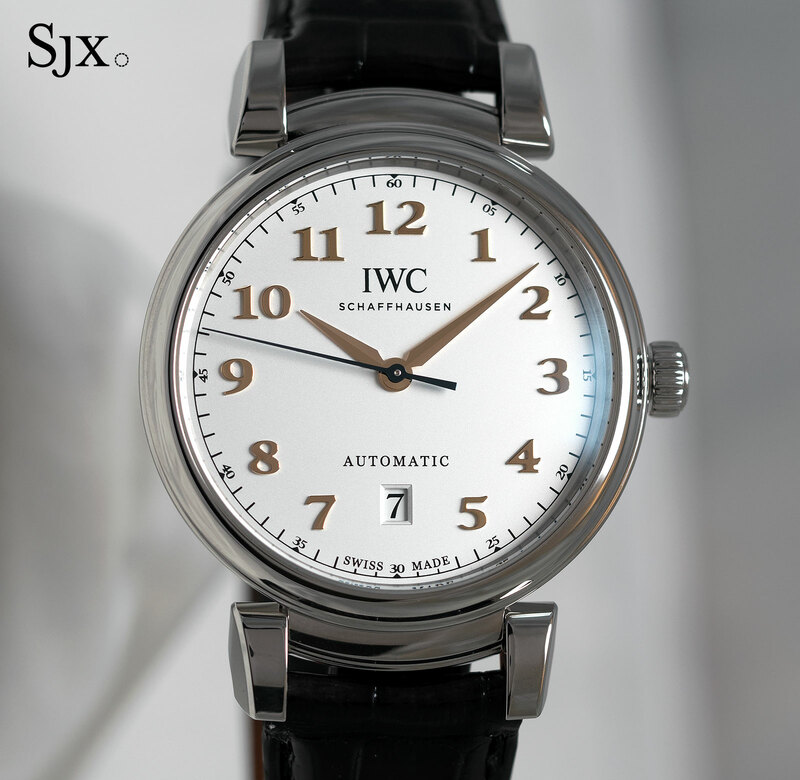 First the pallet fork and escape wheel made of diamond-coated silicon, a hard, non-magnetic and temperature resistant material that’s been used by other watchmakers but is a first for IWC. And both escapement components feature a new, skeletonised design that brings with it improved efficiency, one reason behind the fact that the movement manages the same 68-hour power reserve as the basic chronograph-only calibre despite its extra complications of date and tourbillon. 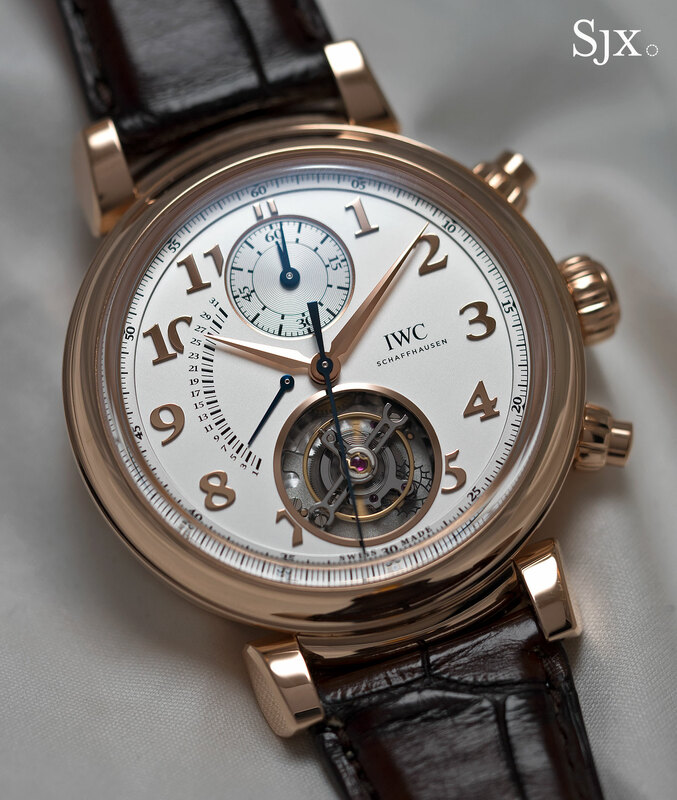 And the second notable feature is the hacking tourbillon. Pull the crown to set the time and a pair of lever touch the balance wheel, stopping it and the tourbillon carriage, allowing for more precise setting of the time. At imposing 44mm wide and 17mm high, the watch is big, almost inelegant, but satisfying hefty, helped by the fact that the movement is technically interesting. 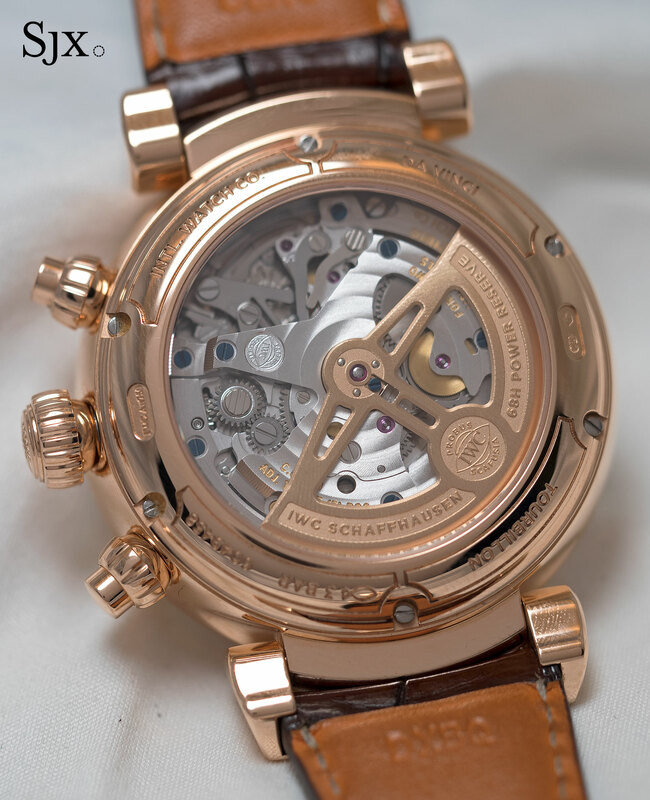 Available only in red gold, the Da Vinci Tourbillon Rétrograde Chronograph (ref.IW393101) is priced at US$103,000. 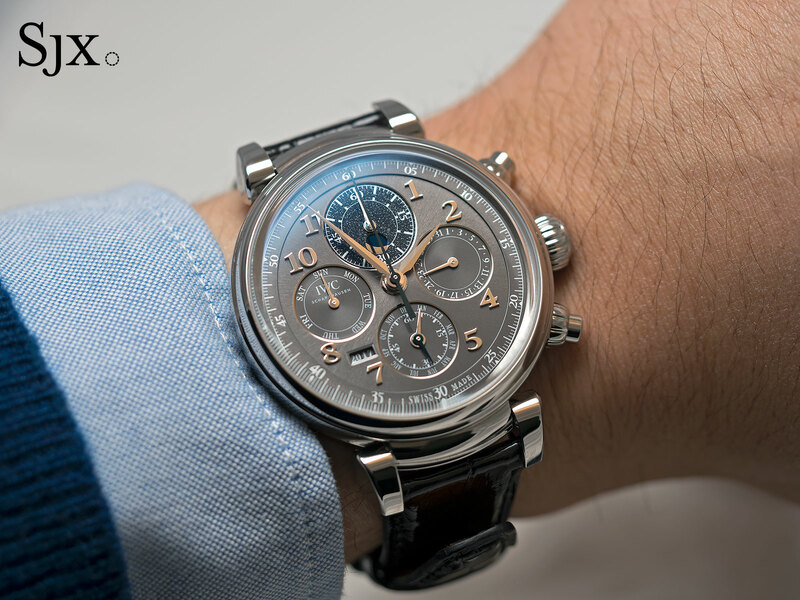 Perhaps the most compelling watch in the collection is the Da Vinci Perpetual Calendar Chronograph. This harks back to the best known of Da Vinci models, the perpetual calendar chronograph of 1985, a bestseller that was a landmark for combining the two complications affordably, with the no-nonsense Valjoux 7750 as a base movement. 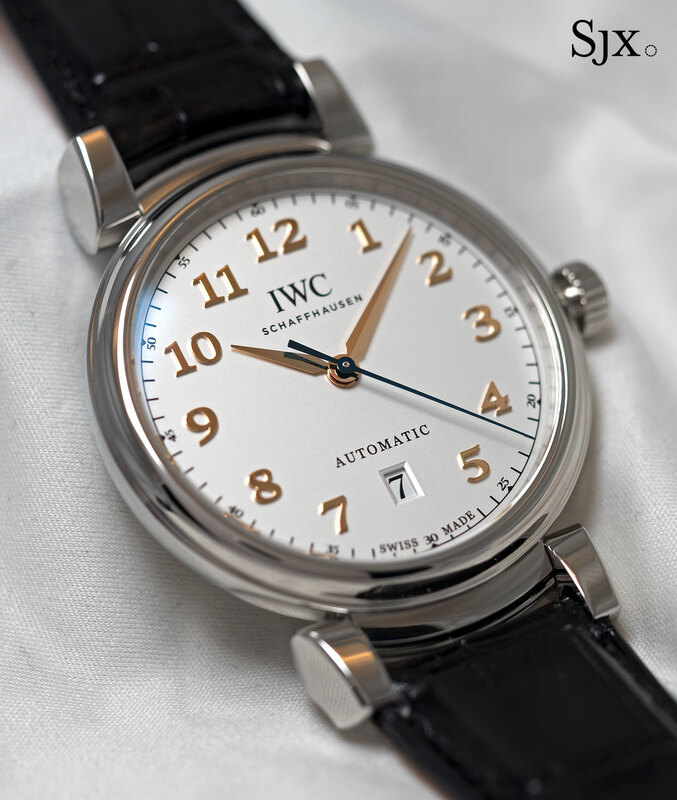 That throwback is meaningless in itself, but IWC managed to channel the 1985 original with the new model, while improving its technical specs and keeping it competitively priced. 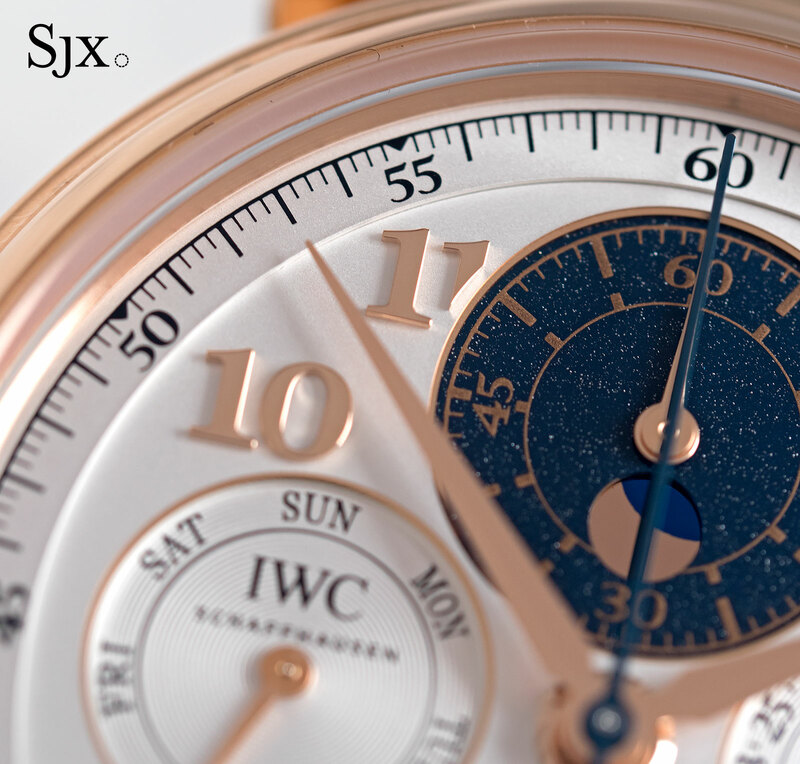 The new perpetual calendar chronograph combines IWC’s proprietary perpetual calendar mechanism (which has all the calendar indications synchronised and can only be set only forwards via the crown), with the calibre 89000 chronograph movement. The resulting watch is biggish, being 43mm in diameter and 15.5mm high, but appropriately sized for modern tastes and just small enough to go under a cuff. 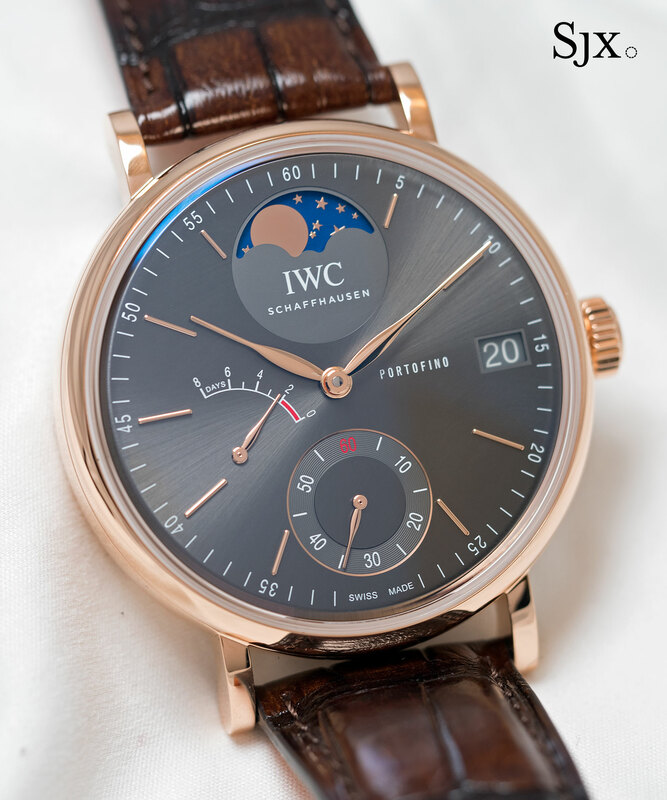 Both the steel and red gold versions have a dark blue sub-dial at 12 o’clock to highlight the moon phase display. Resembling aventurine, the sparkly quartz mineral often used for moon phase displays, the sub-dial is actually metal, galvanised blue with white gold specks for the stars, which is a tiny let-down. 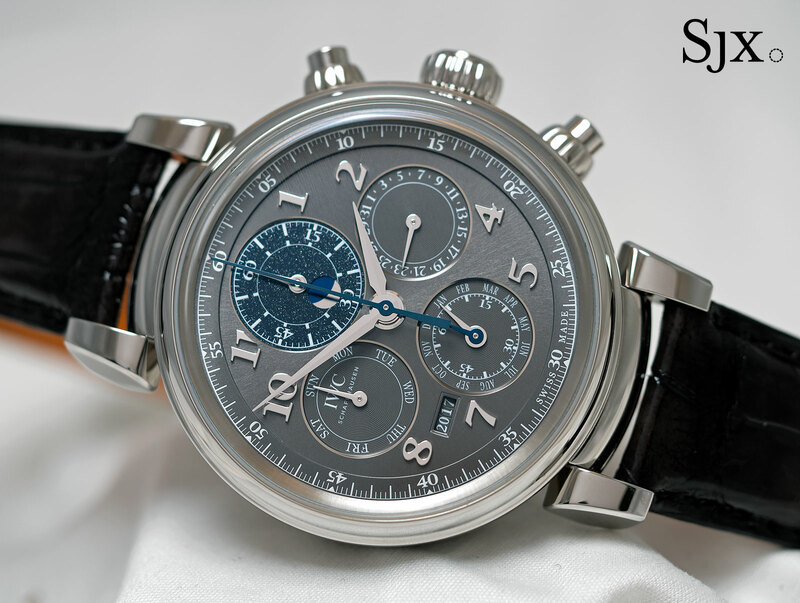 The Da Vinci Perpetual Calendar Chronograph is priced at US$29,900 in stainless steel (ref. 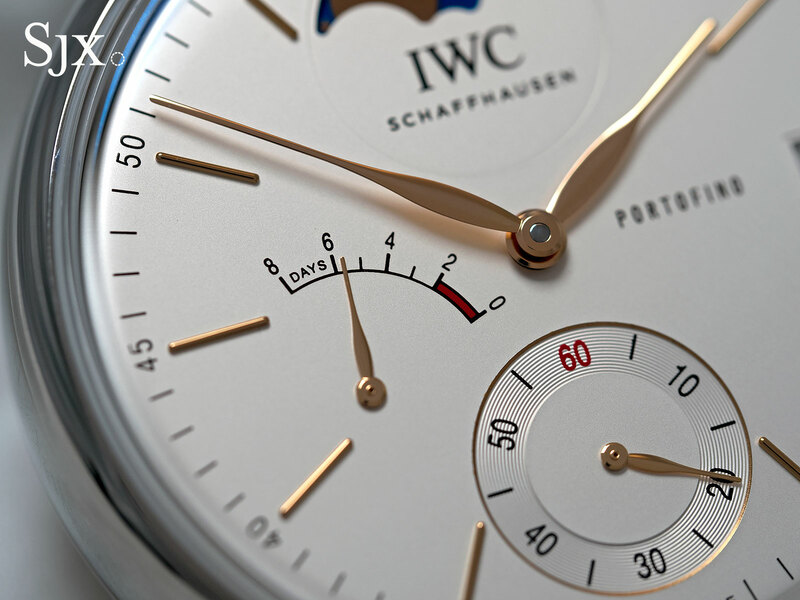 IW392103) with a dark grey dial, and US$40,200 in red gold (ref. IW392101) with a silver dial. 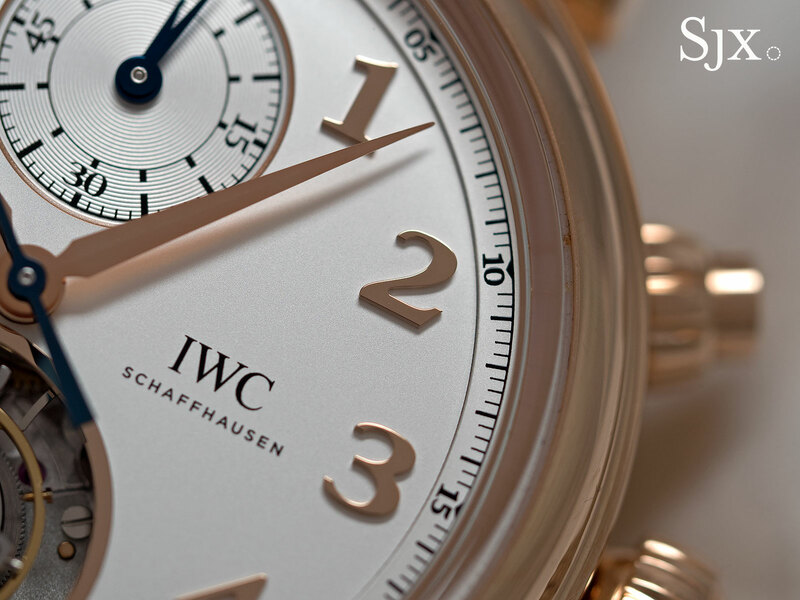 The new line only includes one pure chronograph, that is to say only a stopwatch without other complications. That will likely change, but for now the only options is the Da Vinci Chronograph Edition “Laureus Sport for Good Foundation”. It’s a limited edition, but the Da Vinci chronograph that eventually joins the regular collection is likely to have identical specs. 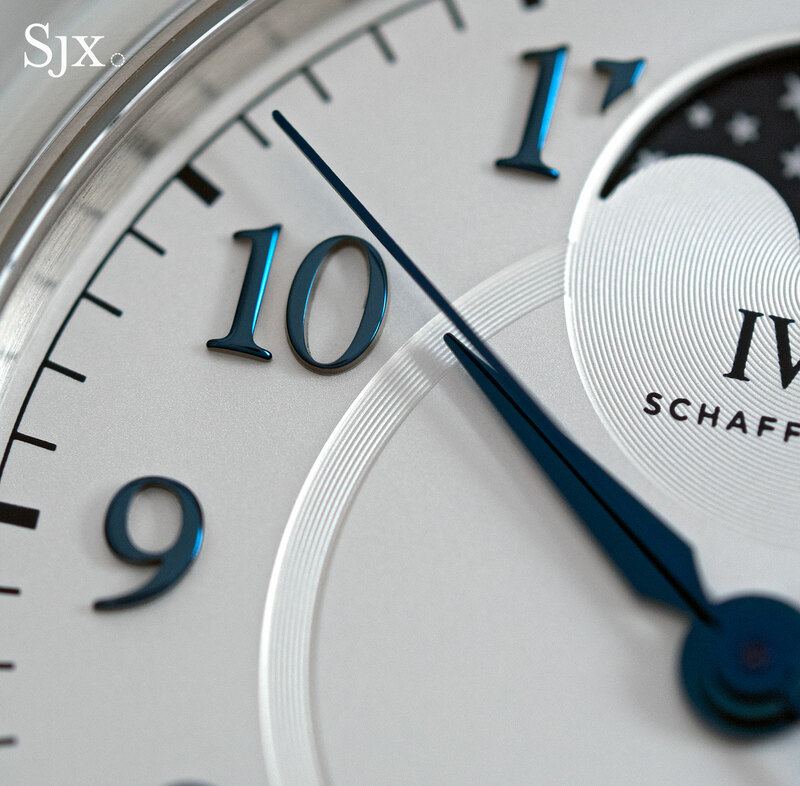 Part of the annual series of watches IWC produces to support the Laureus charity, which aims to bring sport to children in poor countries, the latest Laureus chronograph retains the dark blue colour scheme typical of the series. The most manageably sized of all the Da Vinci chronographs so far, the Laureus is 42mm wide and 14.5mm high. 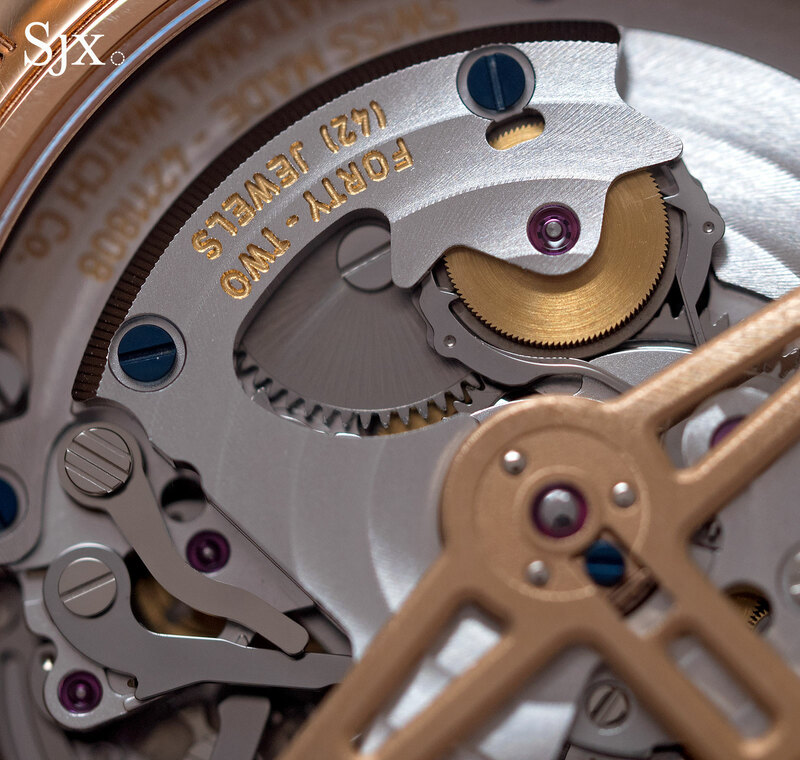 The movement inside is the calibre 89361, a self-winding flyback chronograph movement from the same family of calibres that powers the other Da Vinci chronographs. 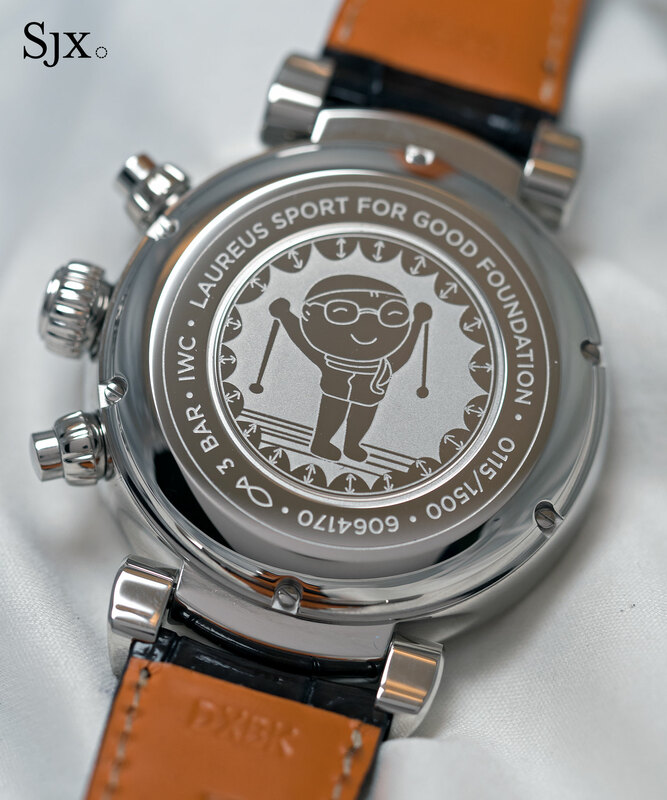 Like all Laureus watches, the case back is laser engraved with a reproduction of a drawing done by the child who won last year’s annual contest to select the motif of the 2017 watch. 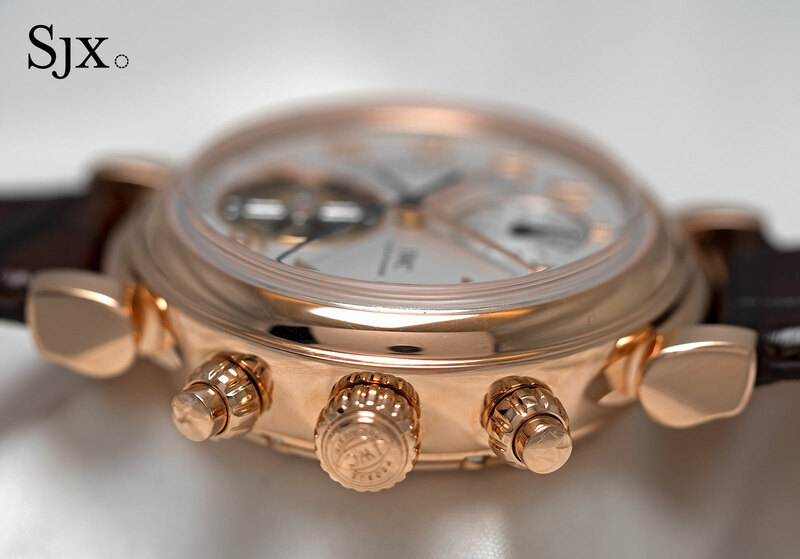 The Laureus chronograph (ref. 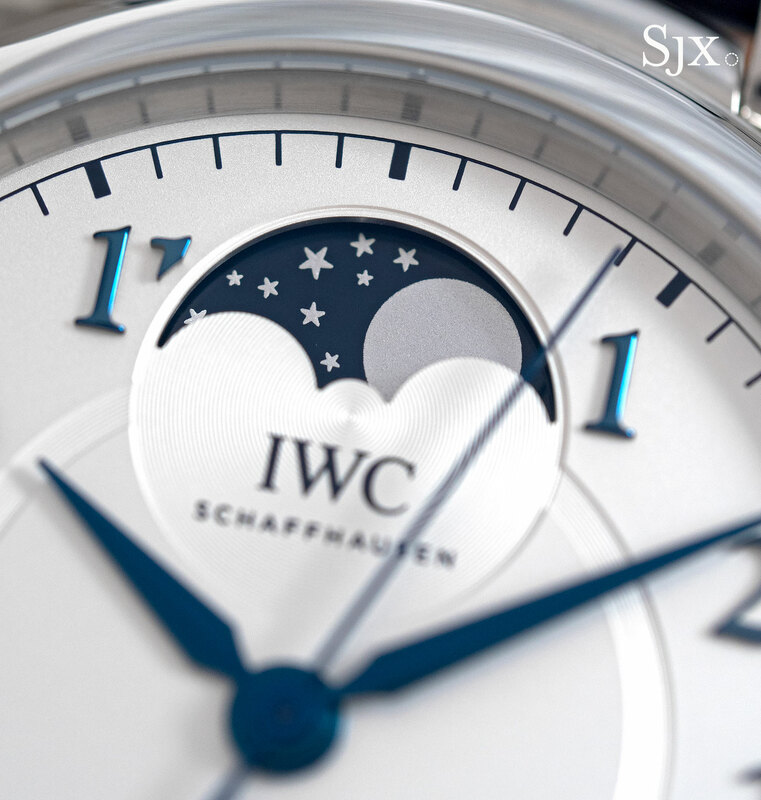 IW393402) is limited to 1500 watches and priced at US$12,700. The sole time-only model for men is the Da Vinci Automatic, a 40mm wide, and surprisingly thin, 10mm watch that’s only available in stainless steel. Behind the solid case back is the calibre 35111, which is the low-cost and reliable Sellita SW300. 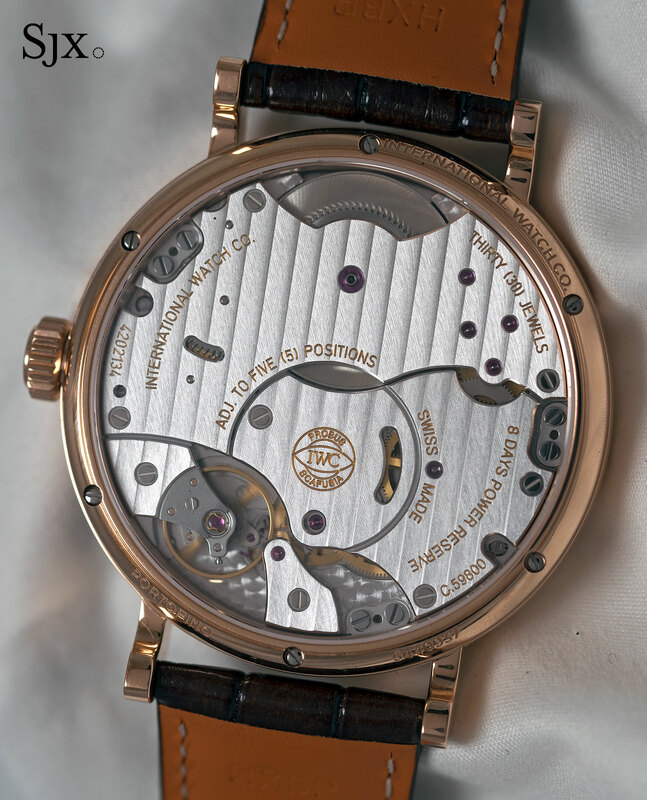 While the movement is fuss free, it is small compared to the size of the case, explaining the odd position of the date window close to the centre of the dial. The Da Vinci Automatic is available either with a silver on a crocodile strap or with a grey dial on a bracelet. The version with a leather strap (ref. IW356601) costs US$5400, while the bracelet model (ref. 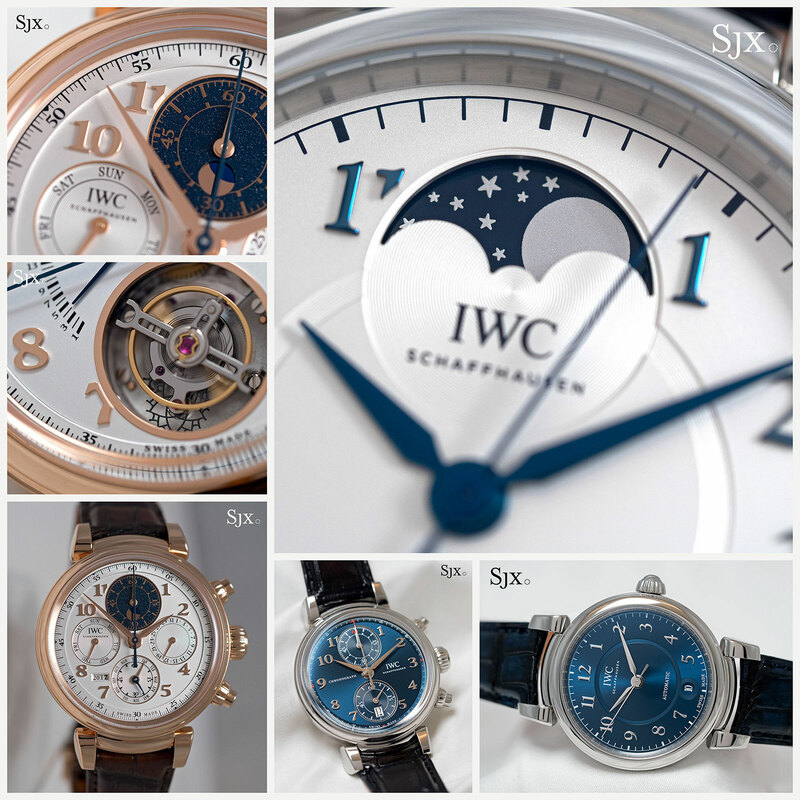 IW356602) is US$6400. Despite the diverse men’s models in the new Da Vinci line, the focus of the range is actually on the female watch buyer. While not numerous in variety, the Da Vinci watches catered for ladies will surely sell in commendable numbers, being already available on Net-a-porter. 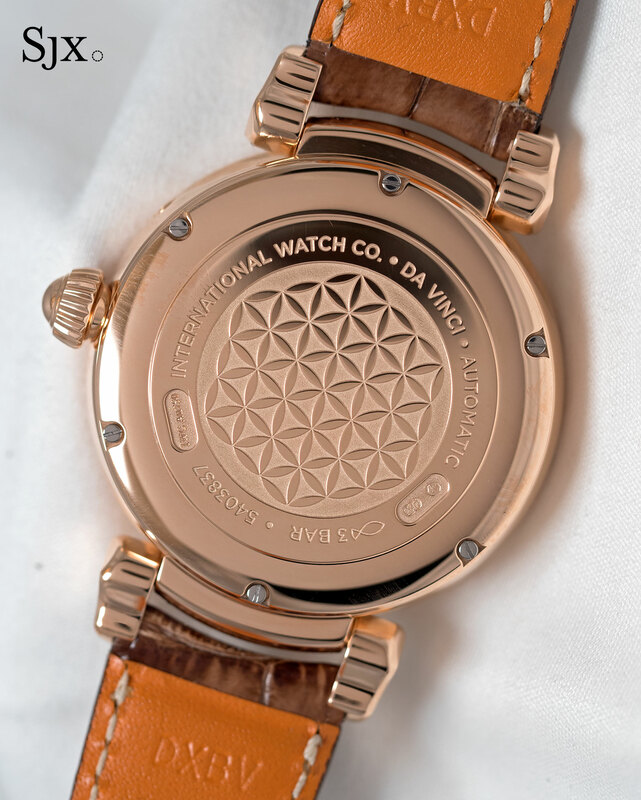 There are two models for ladies in the collection, both of which have a cast “Flower of Life” pattern on the case back, inspired by a recurring motif from Leonardo Da Vinci’s drawings. The first is the Da Vinci 36. 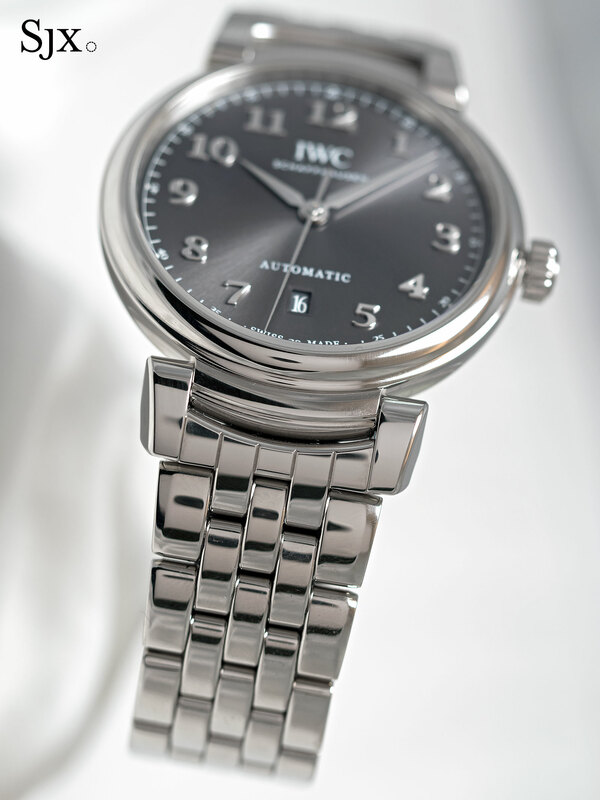 This is 36mm in diameter and available in a variety of styles, including a diamond-set model. 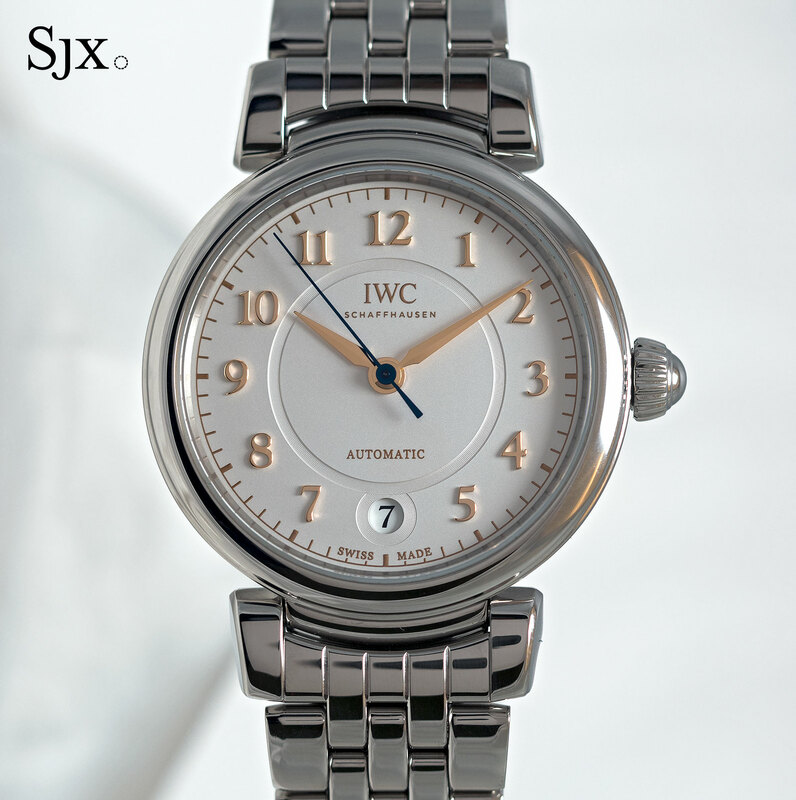 While still retaining the same design as the men’s models, the ladies’ have slight differences, including a recessed track on the dial forming a figure of eight with the date window. Mechanically identical to the men’s Da Vinci Automatic, the Da Vinci 36 is powered by the Sellita-based 35111, which actually fits better here since the size of the movement is appropriate for the case. 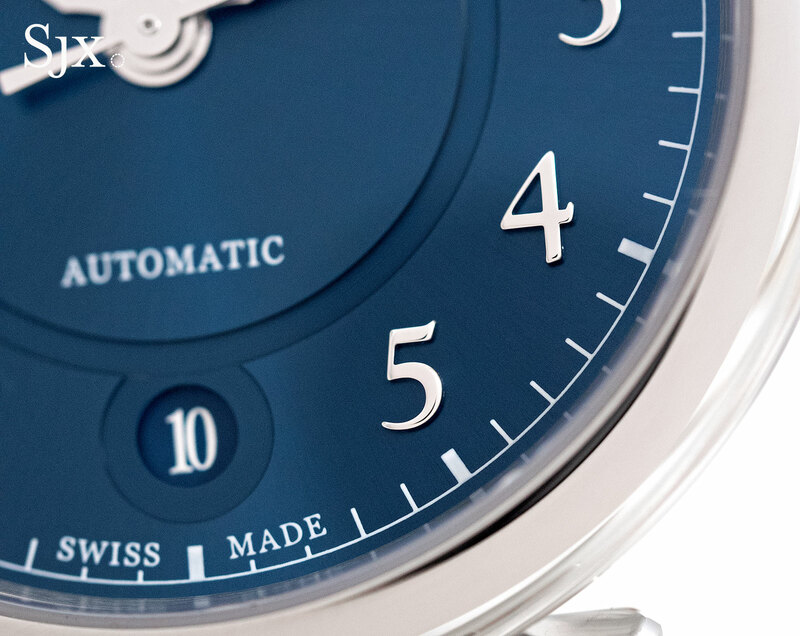 The Da Vinci 36 is available in steel with a dark blue dial on a strap (ref. 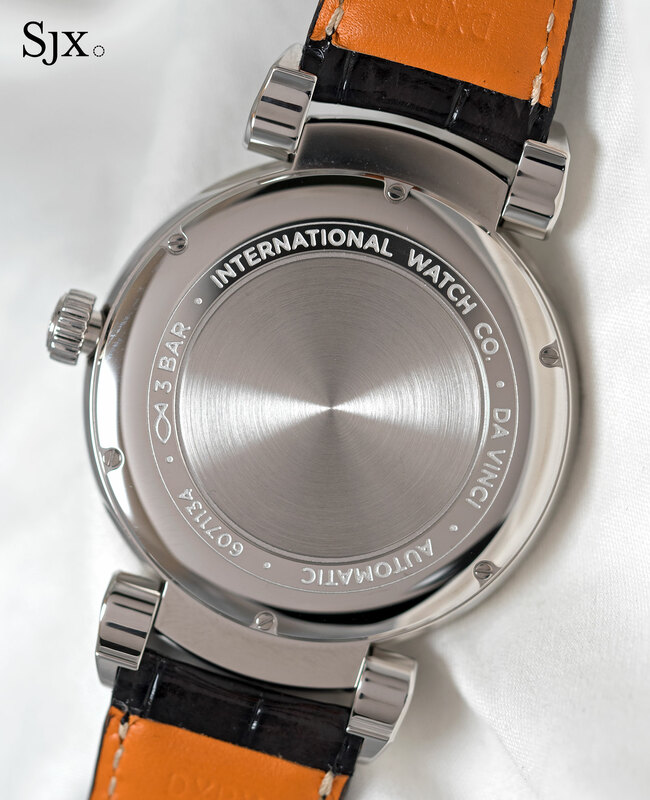 IW458312) for US$5400, a silver dial on bracelet (ref. 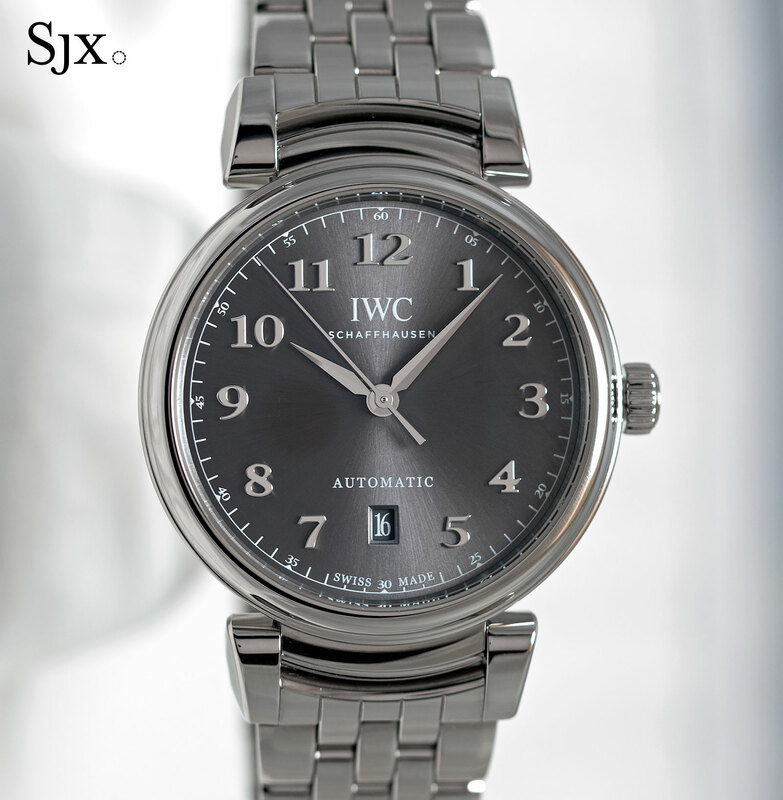 IW458307) at US$6400, or steel with a diamond-set bezel (ref. IW458308) for US$10,800. And in 18k red gold on strap (ref. IW458309) for US$13,800, and 18k red gold with a diamond bezel and gold bracelet (ref. IW458310) for US$39,300. 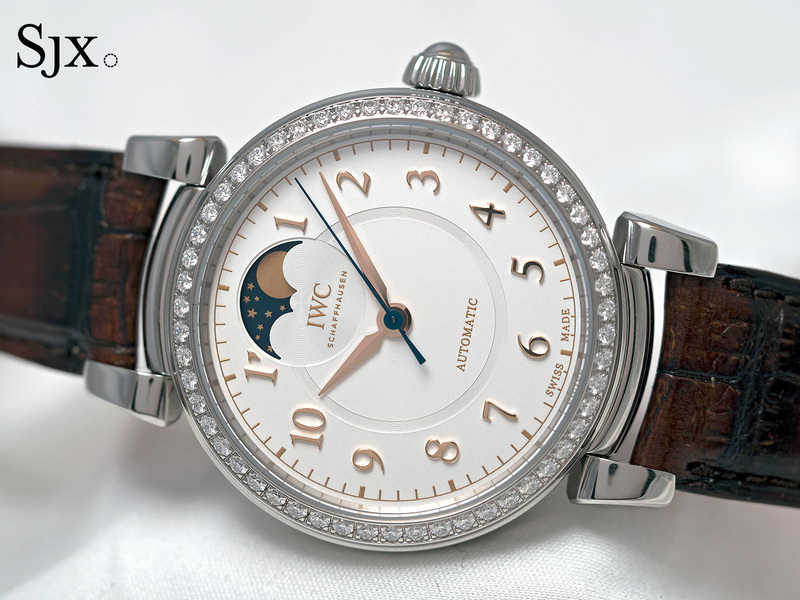 The Da Vinci Automatic Moon Phase 36 adds an age of the moon display to the base ladies’ model. 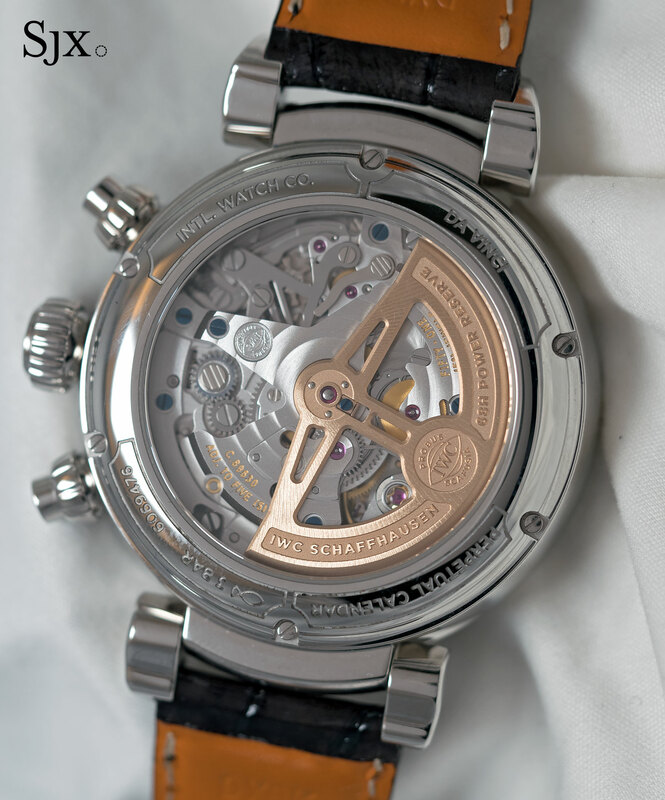 Inside is the same movement as the Da Vinci 36, but with the addition of a moon phase mechanism, which leaves the case 1.5mm higher. 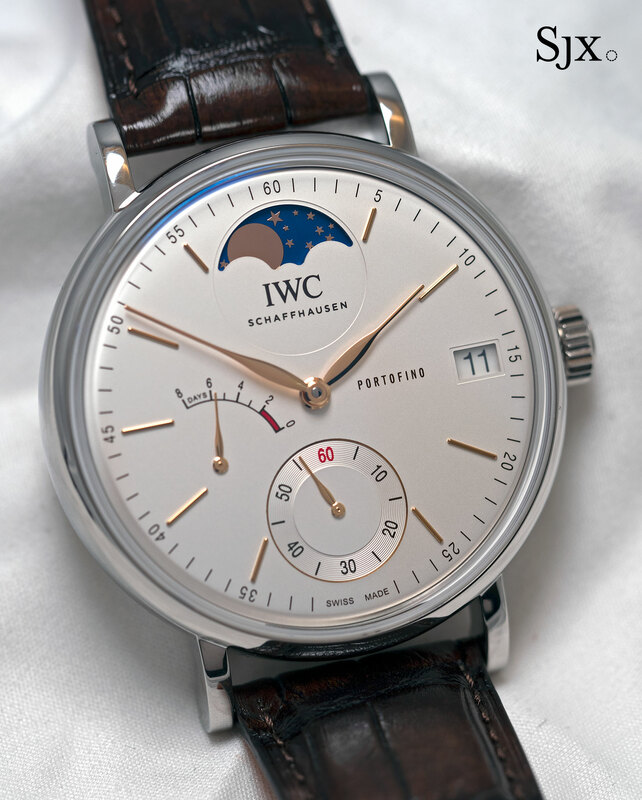 It’s also 36mm in diameter, with a conventional moon phase display advanced via recessed pusher at two o’clock. 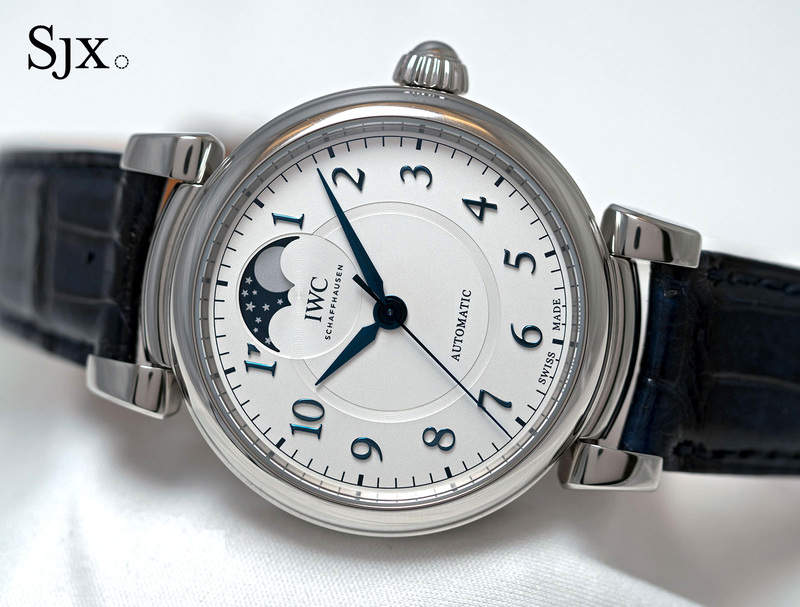 The Da Vinci Moon Phase 36 is available in steel with a silver dial (ref. 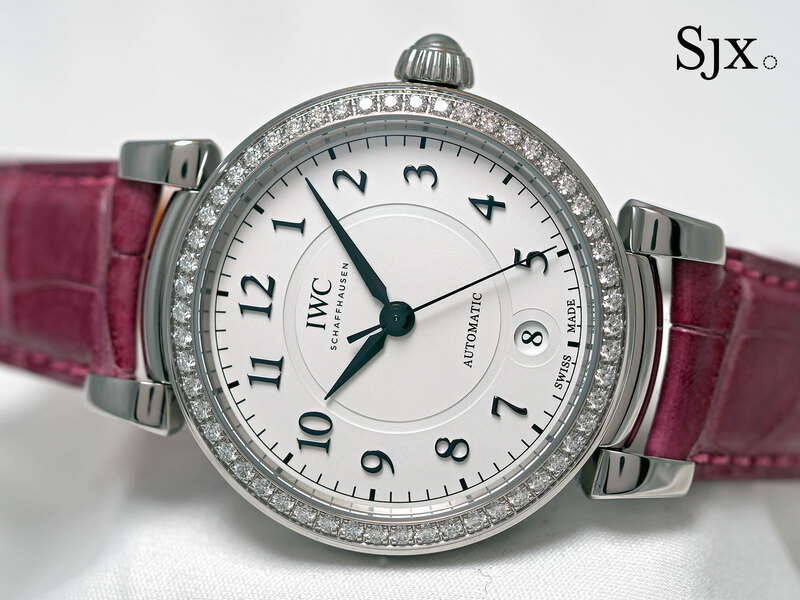 IW459306) for US$8500, steel with a diamond-set bezel (ref. 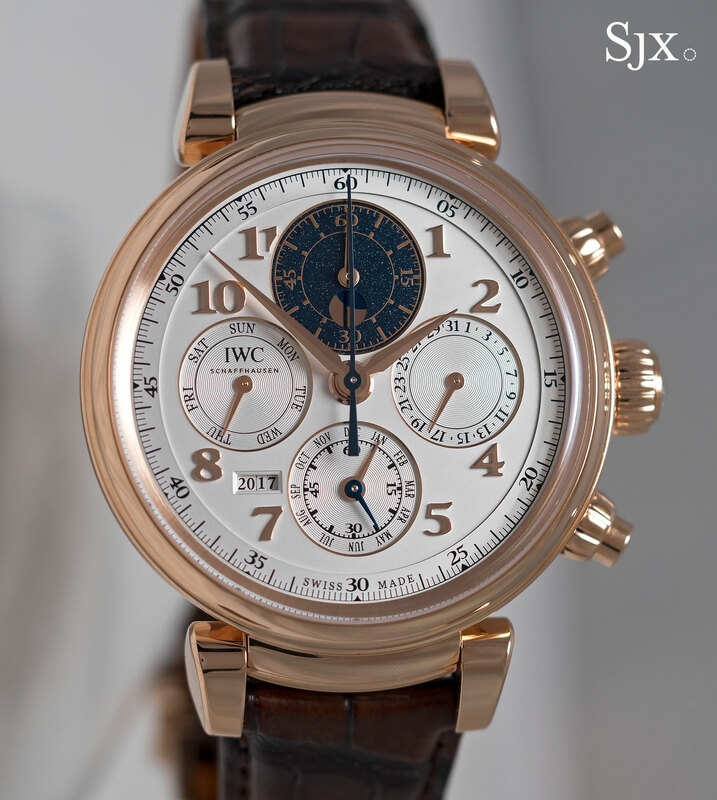 IW459307) at US$13,900, and 18k red gold with a silver dial (ref. IW459308) for US$16,400. But SIHH 2017 was not just about the Da Vinci for IWC. The new offerings included several watches from the Portofino collection (as well as Pilot’s watches that will be launched later in the year), including the Portofino Hand-Wound Eight Days Moon Phase. 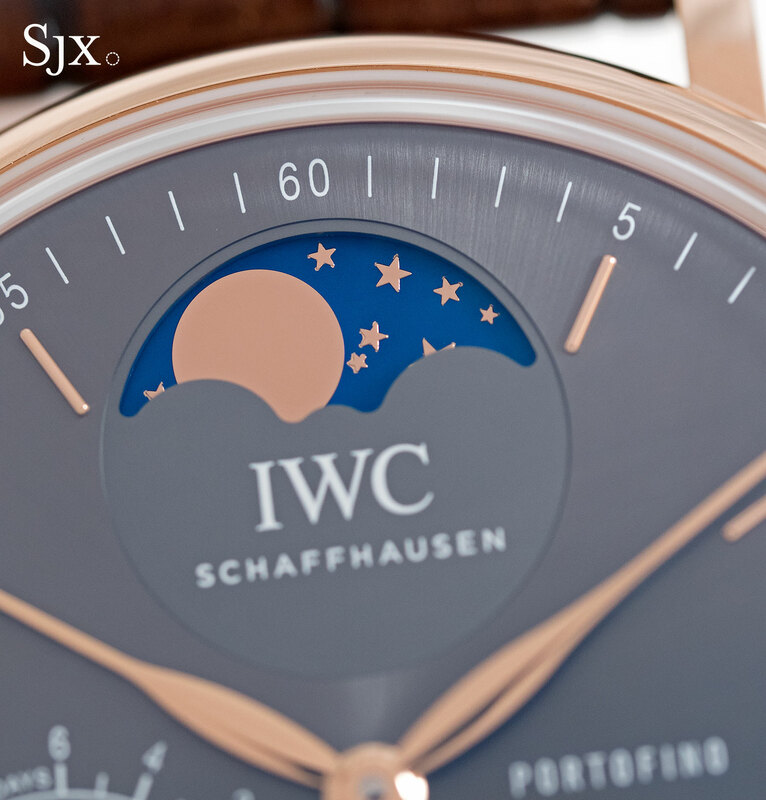 This essentially a variant of the existing Portofino Hand-Wound Eight Days, with the addition of a moon phase. 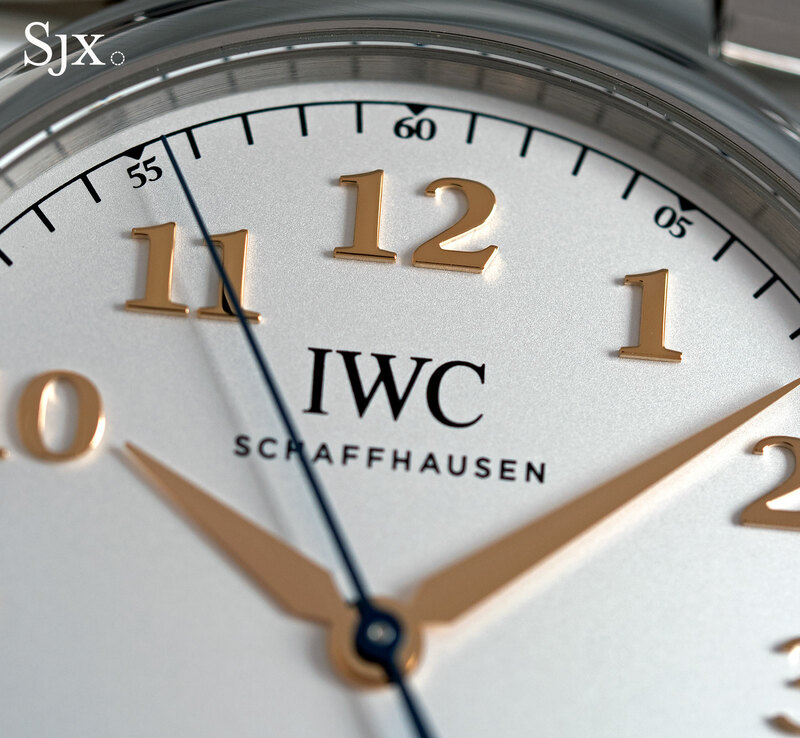 The specs remain largely the same, with a 45mm case, hand-wound movement and eight day power reserve. 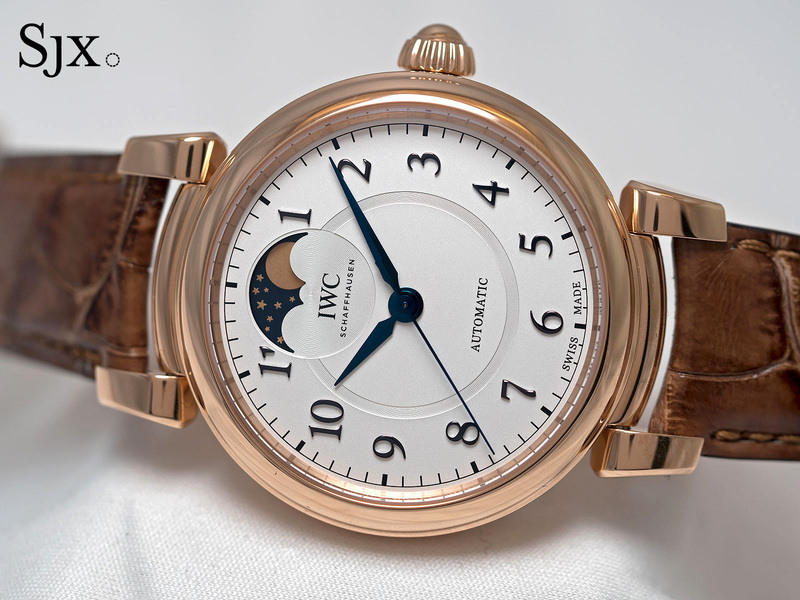 The Portofino Hand-Wound Eight Days Moon Phase will be available in stainless steel and red gold.